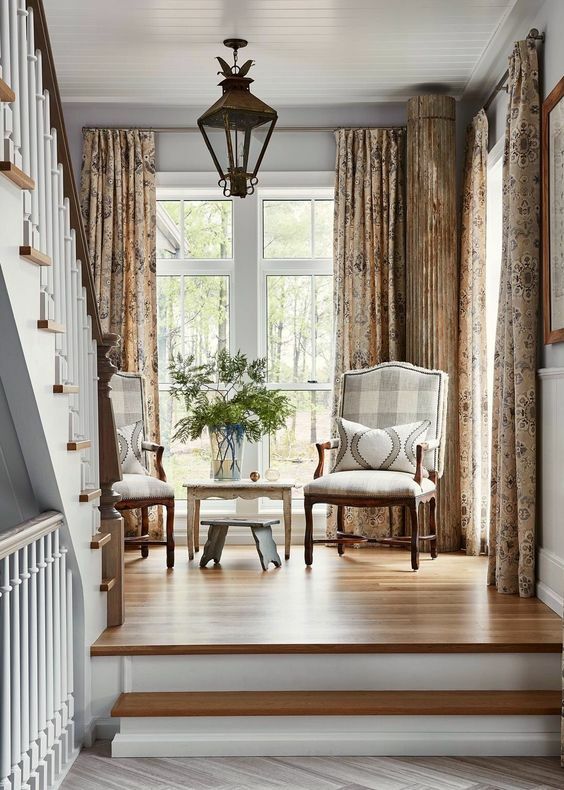 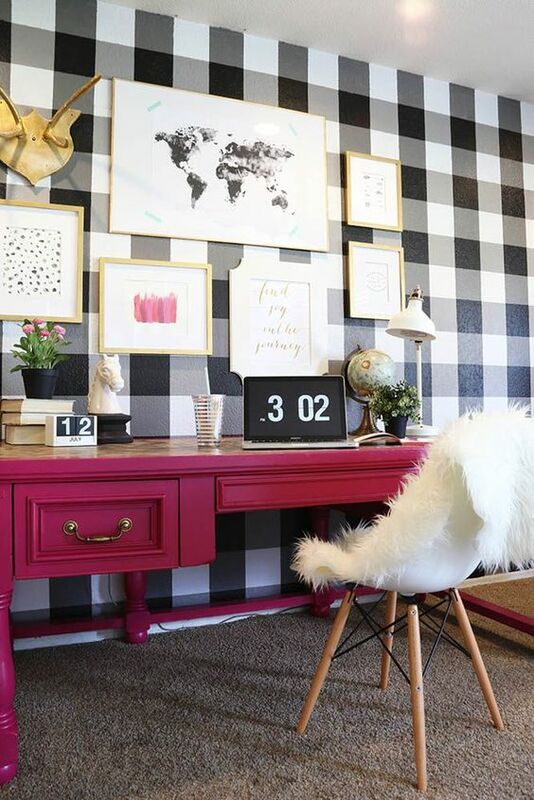 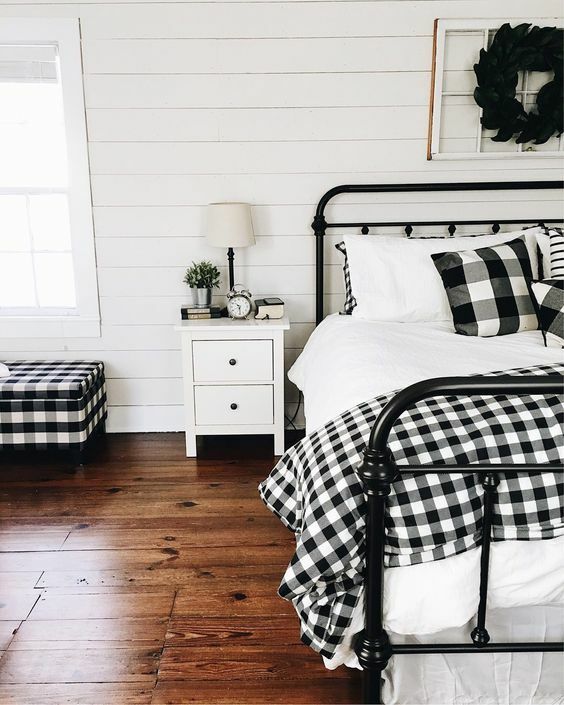 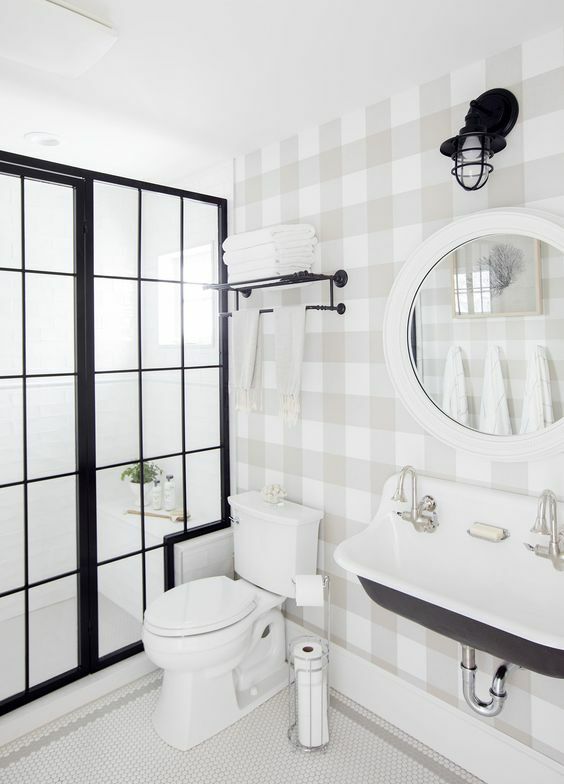 Buffalo check is a classic print that has always been rocked in traditional, rustic and vintage homes but today it’s widely used in other spaces, too! 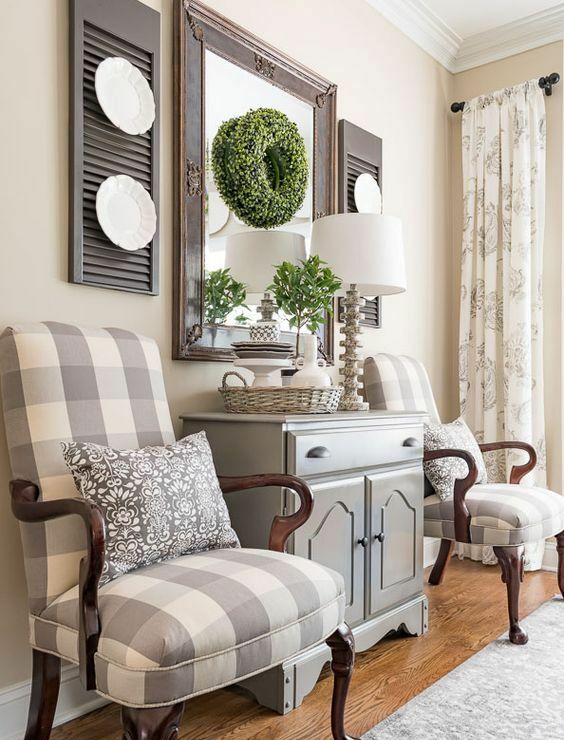 Modern, glam, shabby chic and some other spaces can be made cozier and more welcoming with buffalo check of various shades and looks. 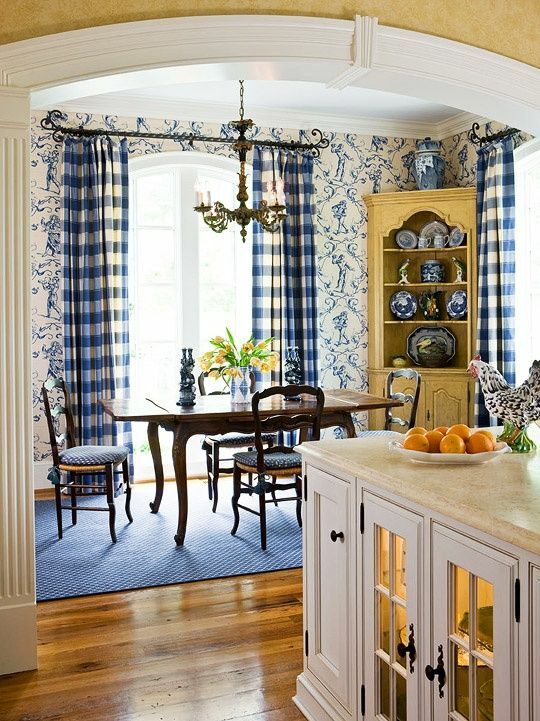 This print is timeless classics, with which you just can’t go wrong but be careful with it not to achieve an old-fashioned feel, unless this is your goal. 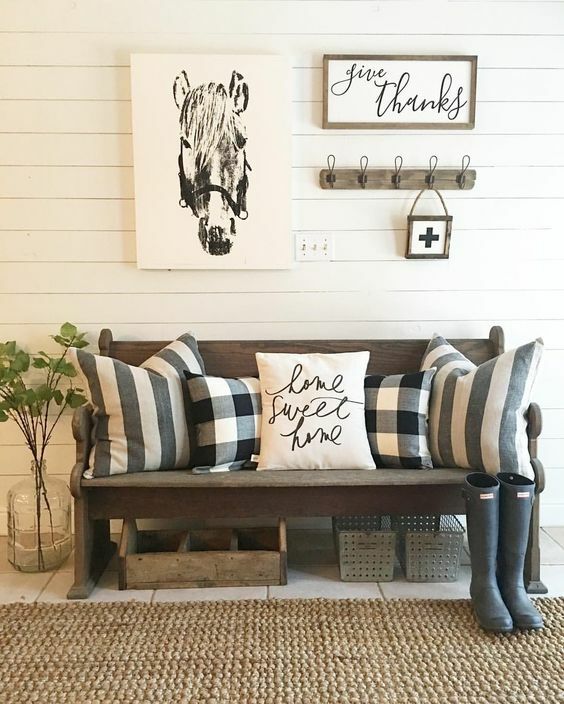 I’ve prepared some fresh and cool ideas to rock buffalo check in home decor, hope you’ll find your inspiration here. 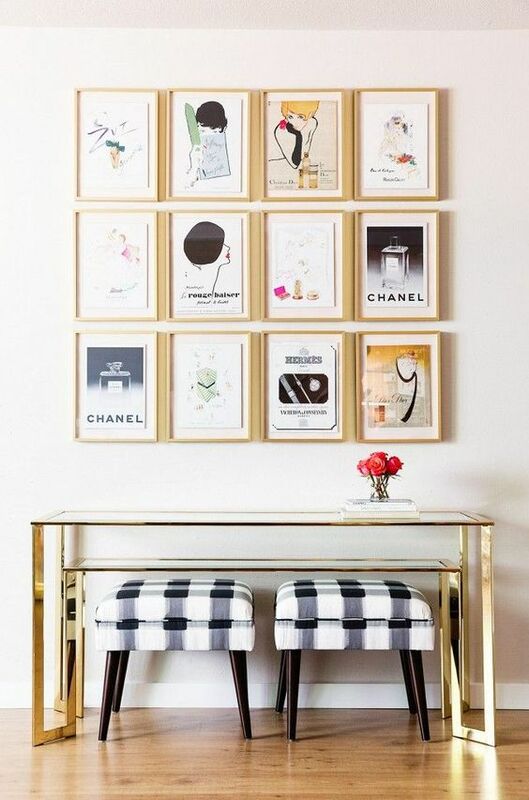 Create a bold statement wall using paints and stencils or just adhesive wallpaper, this is a great way to add a warming rustic feel to the space and enliven it with prints. 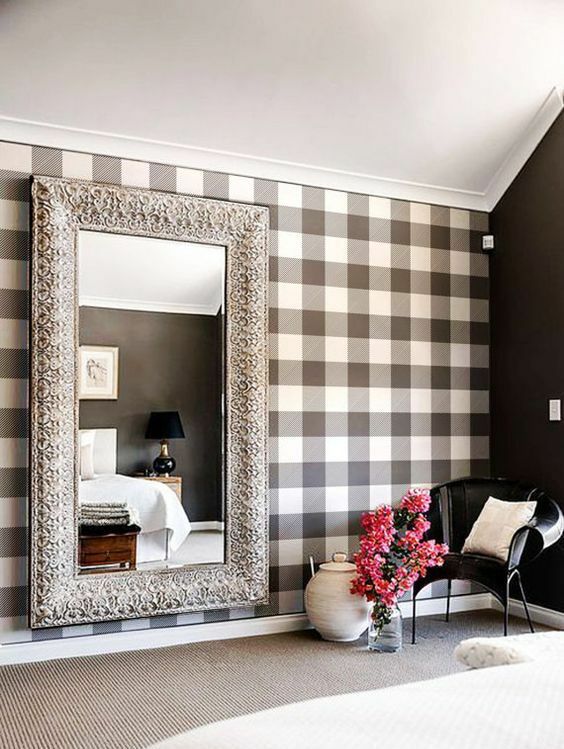 Don’t forget that buffalo check is available not only in black and white but also other colors like blue, red, yellow, green, grey and much more, so you’ll easily find a perfect fit for your room. 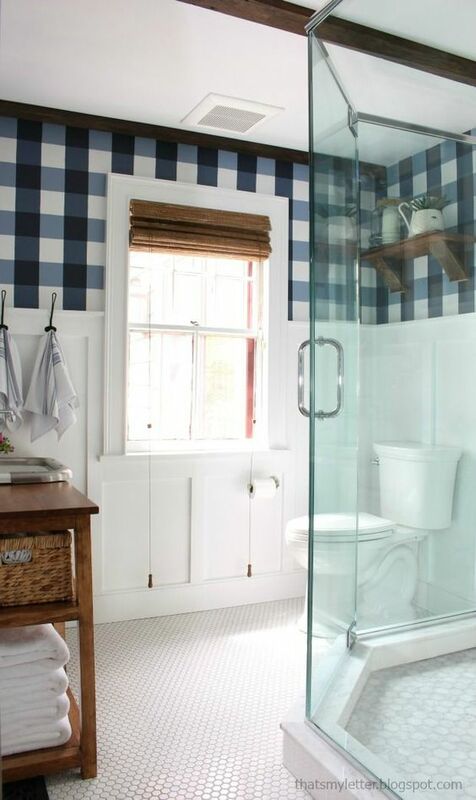 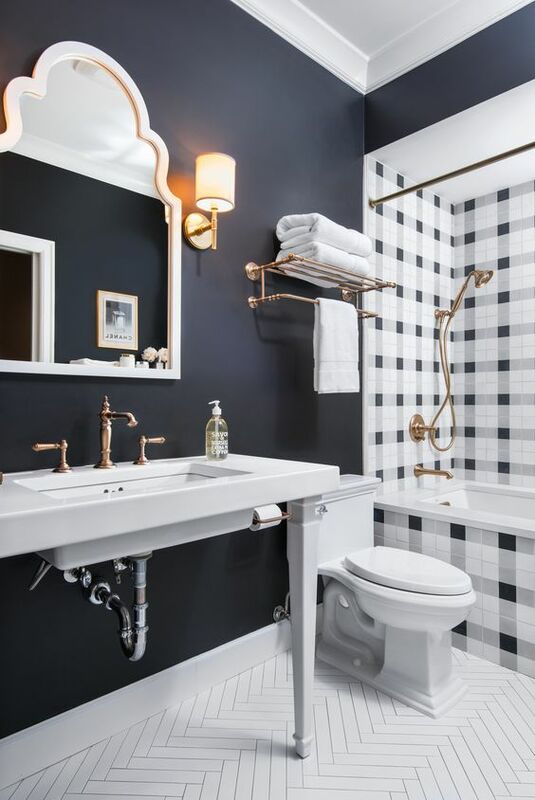 You may also try buffalo check tiles in your bathroom but use them in rustic and vintage spaces. 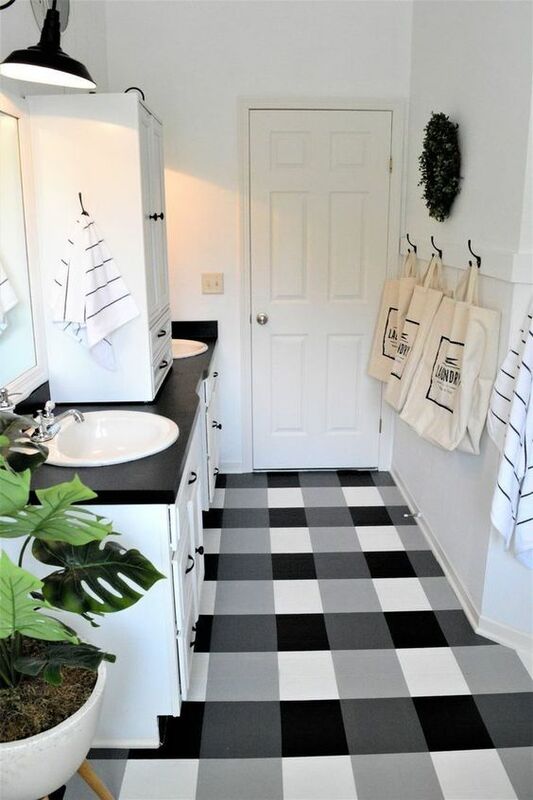 If you wanna add prints to the space but don’t want to touch the walls, go for buffalo check vinyl or stencils on the floor. 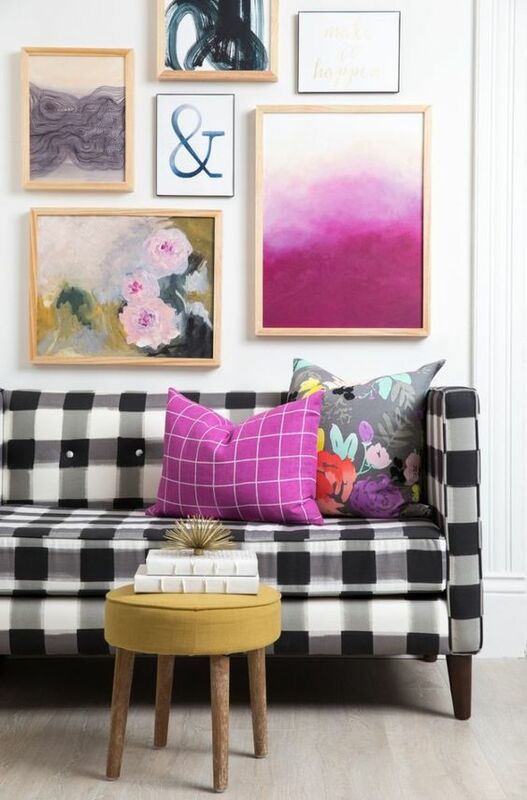 One more simple idea to add buffalo check to your space without radical changes is just to buy or reupholster some furniture. 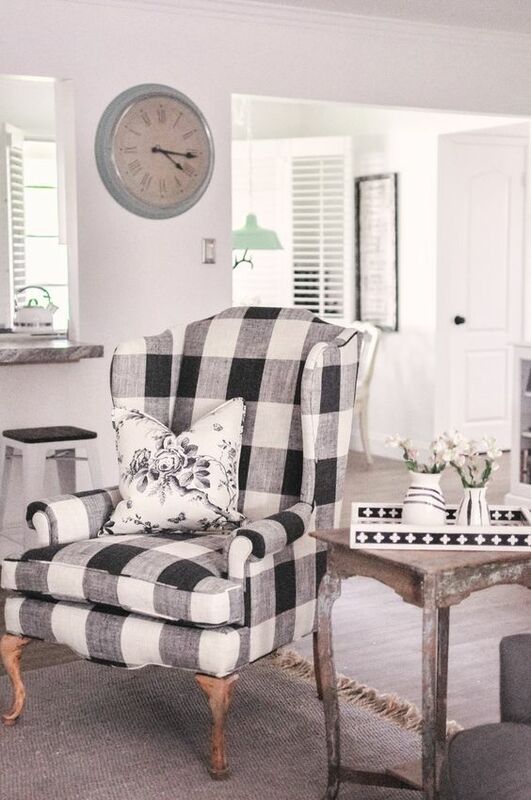 Stools, chairs, armchairs, ottomans, footrests, sofas, benches, beds and many other items may be upholstered with buffalo check fabric of your choice. 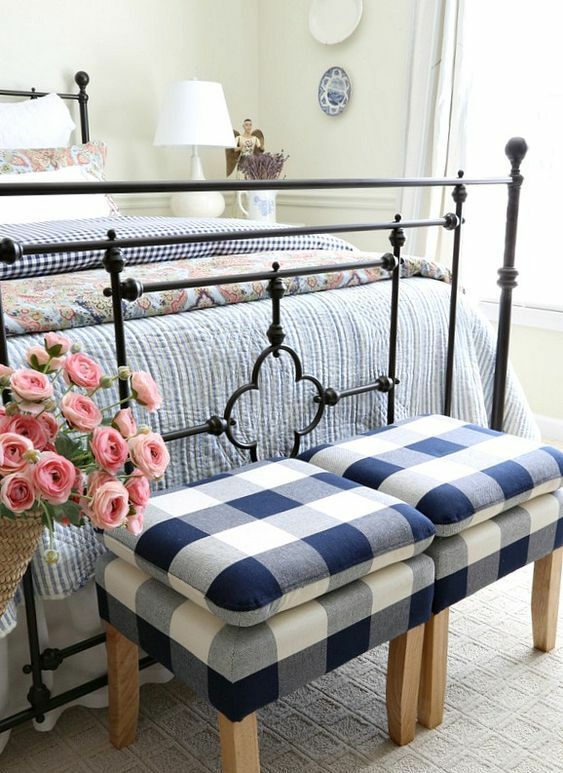 Such items can be incorporated not only into vintage, farmhouse, rustic and shabby chic spaces, they can make a statement in glam and modern spaces, too, as rocking one different piece of furniture in the interior is a hot trend. 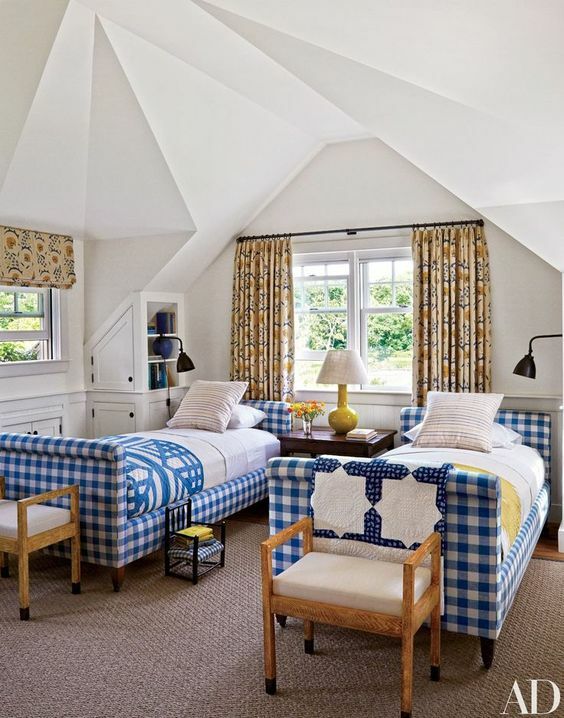 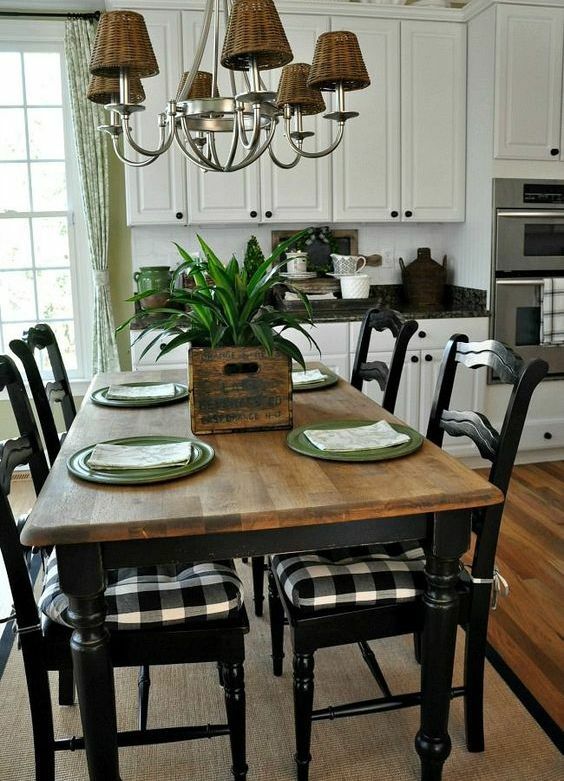 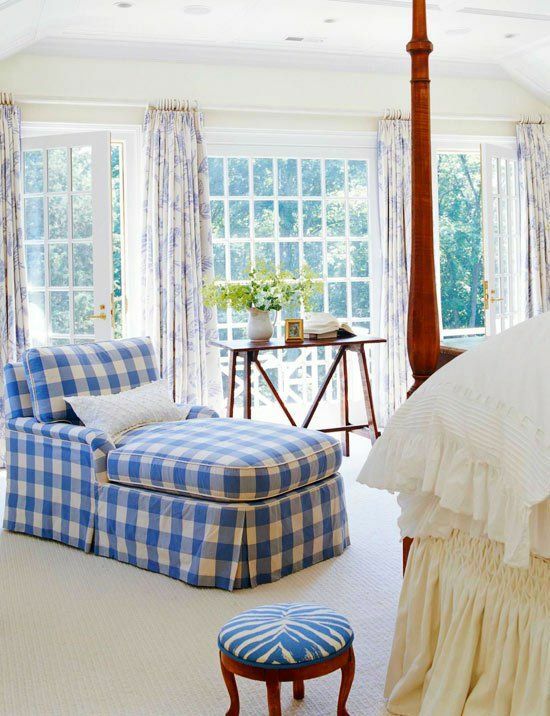 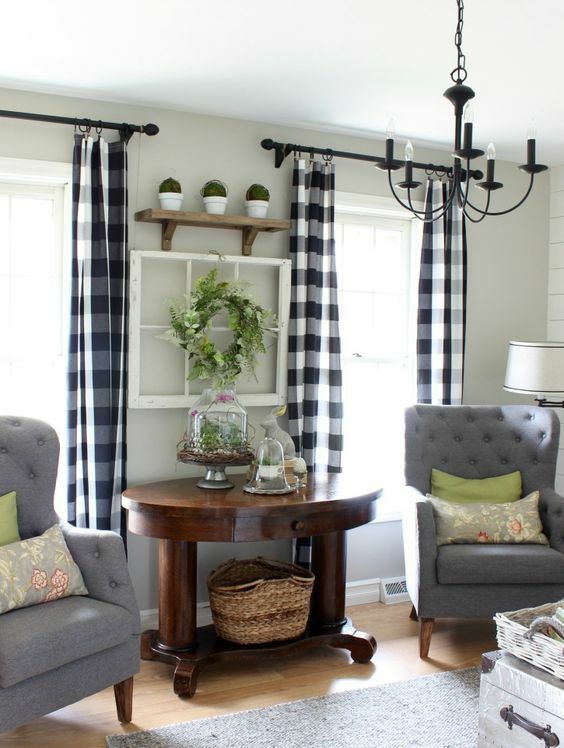 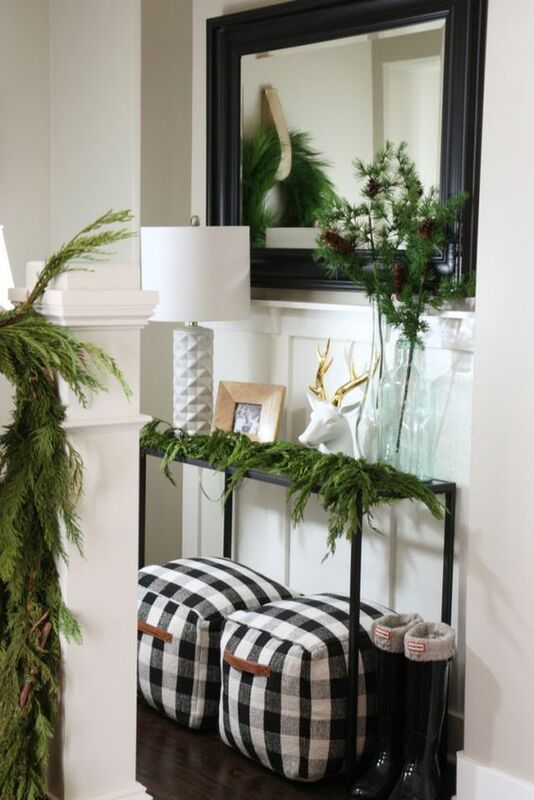 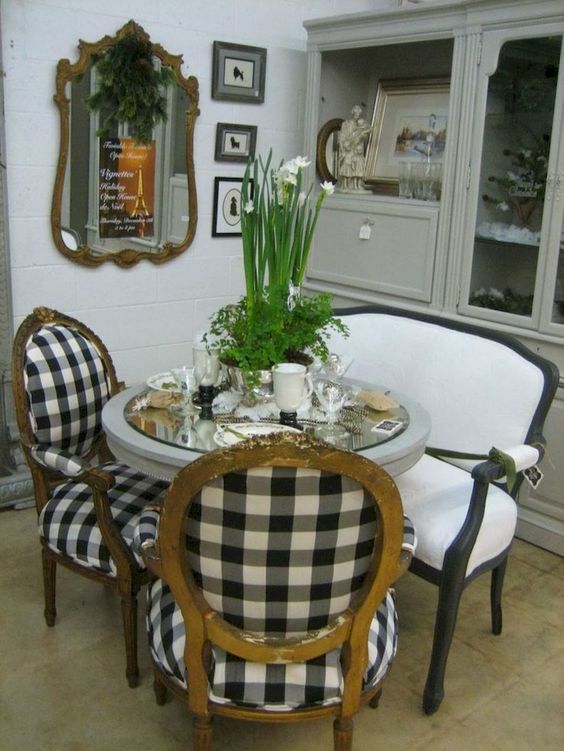 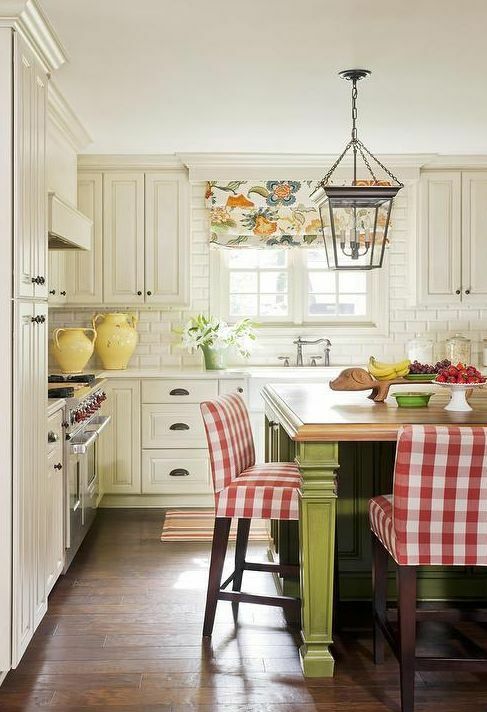 This is the easiest and most budget-friendly way to brighten up the space is to add buffalo check textiles. 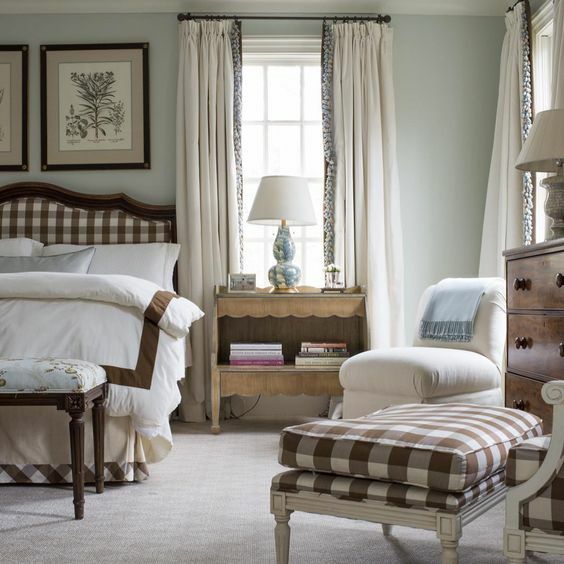 Curtains, runners, tablecloths, bedspreads, pillows and bedding in the color combos that you like are welcome in any room. 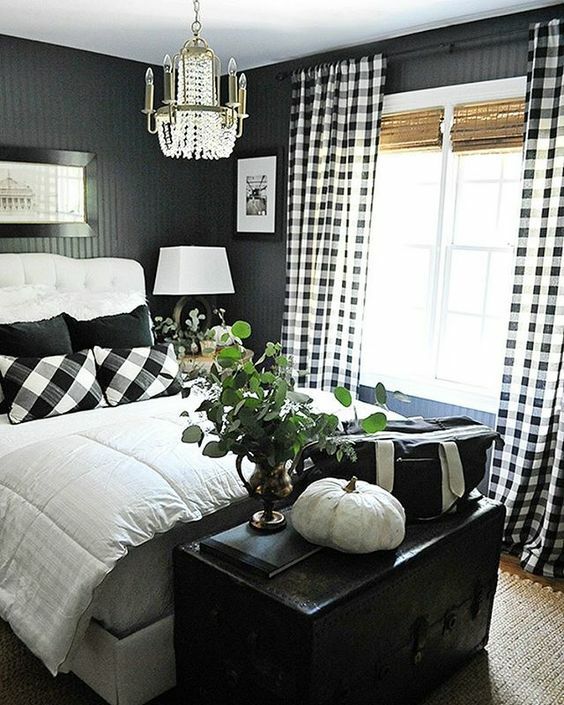 You can easily make some textiles with buffalo check print for your home and rock them – they will cost a little.